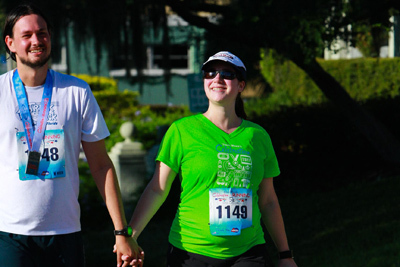 Within the IOA Corporate 5k there’s a T-Shirt Contest where companies design/share what they will be wearing on race night. The fiery red Mohawk and matching red eyebrows of one of their team members was the inspiration for one local participating company’s Corporate 5k T-shirt. 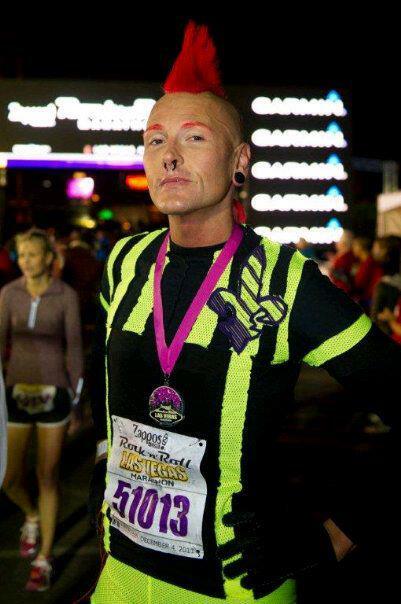 The man behind the inspiration is George Melichar, a unique and approachable guy who works at Hard Rock Café in New Orleans but is coming here to join is fellow running/walking team members. George (“Geo”) Melichar, self-described as ‘coming from a less than healthy lifestyle’ stands 6’ 4” and at one time weighed over 300lbs. When he decided to make a LIFE change and started running, his friends whom he calls his Board of Directors, thought he was crazy since he couldn’t even cover 3.1 miles (5k). Geo entered a half marathon in 2009 in New Orleans and has become an inspiration for thousands of people to adopt his “Yes You Can” philosophy through his running and a champion of causes he feels passionate about which have included New Orleans post-Katrina restoration, cancer, saving city parks and UNICEF. 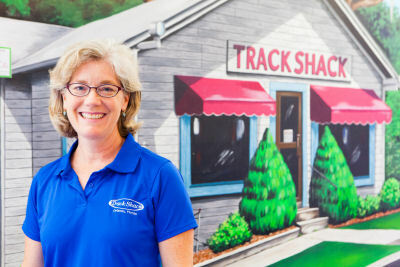 EVENT BENEFICIARIES: Proceeds benefit the Track Shack Foundation. A 501 © (3) organization established to promote youth health and fitness. A food drive is also being conducted for the Christian Service Center Food Pantry. SPONSORS: Insurance Office of America, Track Shack, Florida Hospital, New Balance, Michelob Ultra, Campus Crusade for Christ, Mattamy Homes and TD Bank. WHAT: IOA Corporate 5K benefiting the Track Shack Foundation. Celebrating workplace health and fitness, participants include teams of corporations, non-profit organizations, churches and schools who will enjoy the premiere evening run of the year in downtown Orlando. Networking starts at 5 p.m.